Charlotte joined Nathan & Nathan in November of 2018. Charlotte had previously worked for the firm as an attorney from November 2008 until January 2015. Charlotte received her Bachelors of Arts in Accounting from David Lipscomb University. She then attended law school at Nashville School of Law where she graduated and received her JD in 2002. Since receiving her license to practice law in 2002, Charlotte has practiced in the areas of Domestic Relations, Probate, Insurance Defense, and since 2008, she has concentrated in the areas of landlord tenant law, and consumer and commercial collections. 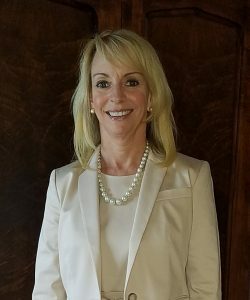 She is licensed to practice in the state courts for Tennessee and in the United States District Courts for the Eastern and Middle Districts of Tennessee. Charlotte is a member of the Tennessee Bar Association, Nashville Bar Association and the National Association of Retail Collection Attorneys. Charlotte serves on the Executive Committee for the Creditors Practice Section of the Tennessee Bar Association and was the former chairperson for the Executive Committee from 2017-2018.